If you’ve been monitoring releases of smartphones, you must’ve noticed a trend from Fujitsu and Sony, for example, who release most of their new handsets with waterproof abilities. 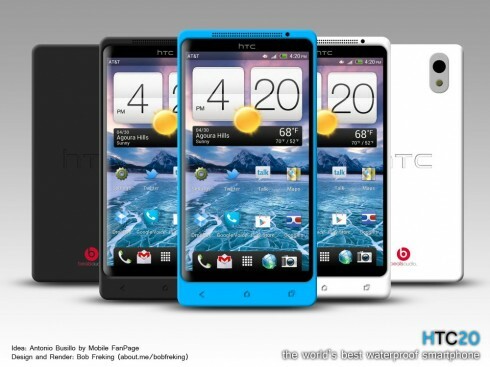 HTC doesn’t have one such device, so it’s up to designers like Bob Freking to come up with them. 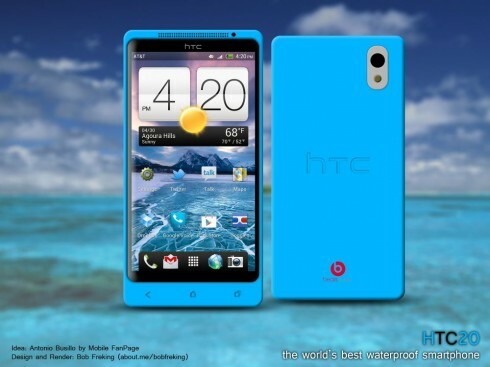 Thus, I give you the HTC H2O, dubbed the “world’s best waterproof phone”. The idea came up courtesy of Antonio Busillo, who sent Bob Freking a sketch of the render and he made it into a concept phone. The specs indicated by the same Antonio include a quad core Tegra 3 1.5 GHz processor, 2GB of RAM, 32GB of storage and an 8 megapixel camera with 1080p video capture. At the front there’s a 3 megapixel camera and apparently both do capture without problems, even in water. Android 4.1 Jelly Bean is the OS of choice here, with HTC Sense 4.0 and a water themed UI. Add to that a Super AMOLED HD screen with a 1600 x 900 pixel resolution and Gorilla Glass 3 protection. Sadly we have no idea what diagonal this model has, but it’s probably somewhere in the range of 4.5 inches to 4.8 inches. 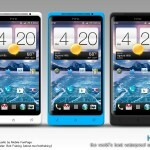 The HTC H2O device comes in Polar White, Black and Water Blue. 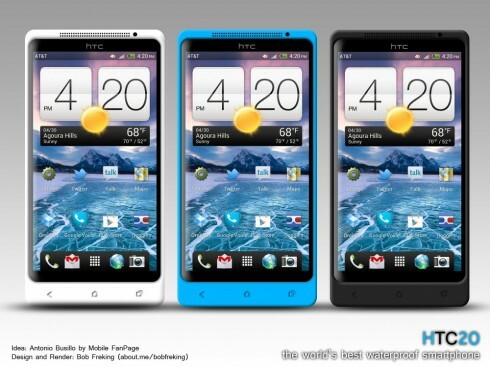 Ready to go skinny dipping with a HTC?